The BLM6300 and its various modules is the ultimate system for producing large quantities of profession- al-looking stitched booklets with a square spine. It is built to run in-line with Océ VP series printers. It pro- vides the perfect finishing touch for a wide variety of on-demand applications. The BLM6300 is a dynamic system which means that it handles varying booklet sizes and thicknesses without operator intervention. And, most important of all, is its outstanding reliability to ensure that the toughest deadlines are met. It is very fast especially when producing thinner booklets in combination with the Océ VP6330 TITAN. Brochures, manuals, reports and policy documents, for example, can be quickly printed and finished in one streamlined operation without the need for addi- tional handling or finishing steps. This booklet maker system is extremely flexible and easy to use and links directly online to Océ printers which significantly improves productivity and efficiency. 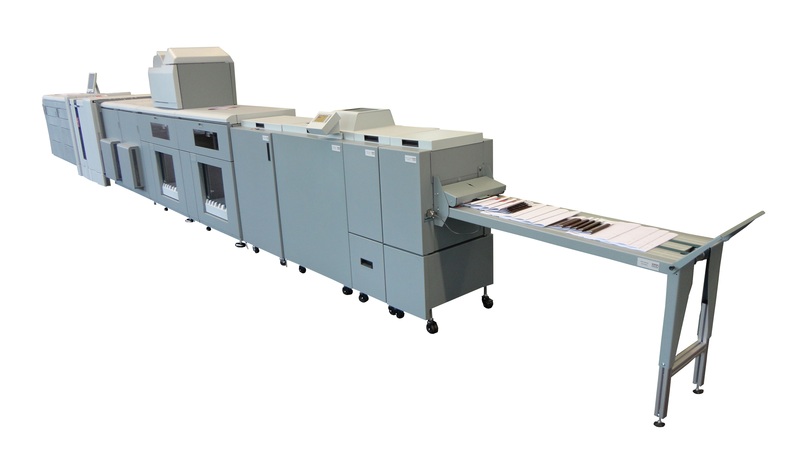 The BLM6300 Booklet Maker System is a modular system comprising the RTM6340 Rotator, BLM6300 Booklet Maker, BLT6389 Face Trimmer, SFM6304 SquareFold module and BST6300 Belt Stacker. The BLM6300 Booklet Maker System can be easily set up from the digital display. Jobs can be saved in the memory for quick recall. The system is designed with high productivity in mind, which means that it has the ability to handle long runs without any operator intervention. Click below to download the data sheet.